Whew. I did it. 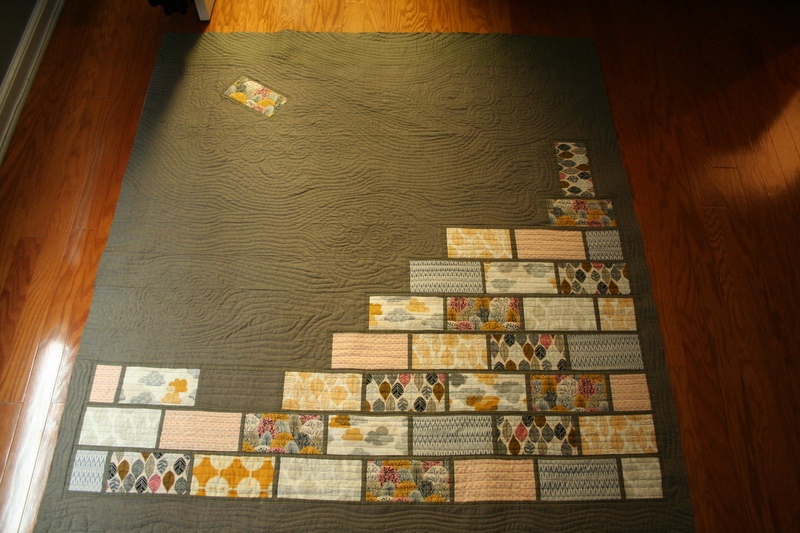 Thanks to my lovely online cheerleaders, I have finished quilting the brick quilt. I will take better pictures when it’s officially done later this week (thanks to some amazing Instagram comments that actually suggest low/dark light). But I wanted to post my progress pictures while I had a little snippet of time. It’s BEAUTIFUL! I love the wind blowing across, and wafting the bricks up as though they weighed nothing! Congratulations on some really lovely quilting. 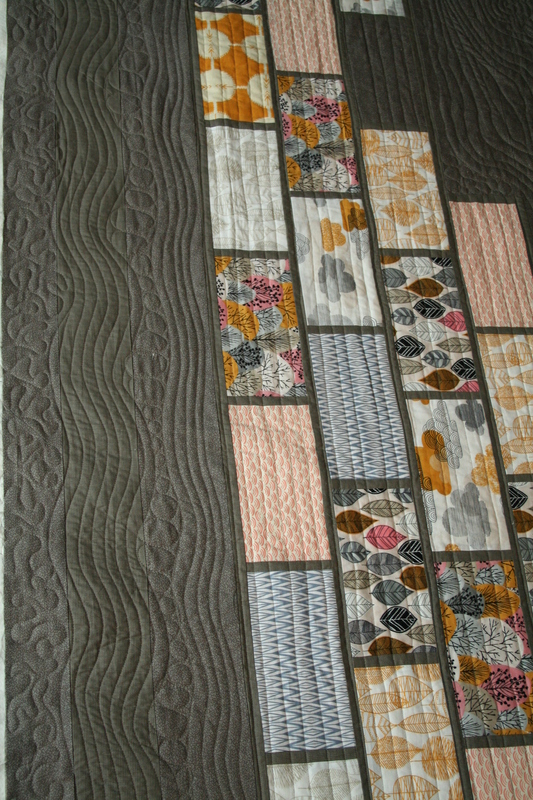 I also really like the quilting in the border. Can’t wait to see the finished thing. Aww, Melanie. This is wonderful! 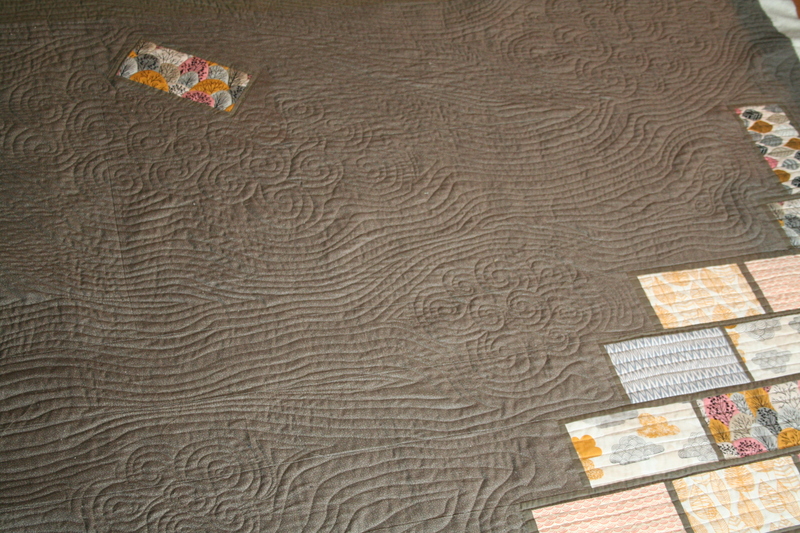 The quilting looks fantastic!!! Can’t wait to see it in person (I am assuming I will see it in person, of course.)!! I get such a nice feeling looking at this. Gorgeous! !